With the rising importance of recognizing a complex situation of interest near real-time, many industrial applications have adopted Complex Event Processing as their backbone. In order to remain useful it is important that a Complex Event Processing system evolves according to the changes in its business environment. 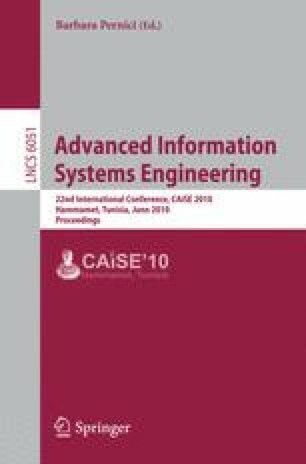 However, today’s management tasks in a Complex Event Processing system related to the management of complex event patterns are performed purely manually without any systematic methodology. This can be time consuming and error-prone. In this paper we present a methodology and an implementation for the complex event pattern life cycle management. The overall goal is the efficient generation, maintenance and evolution of complex event patterns. Our approach is based on a semantic representation of events and complex event patterns combined with complex event pattern execution statistics. This representation enables an improved definition of relationships between patterns using semantic descriptions of patterns and events.